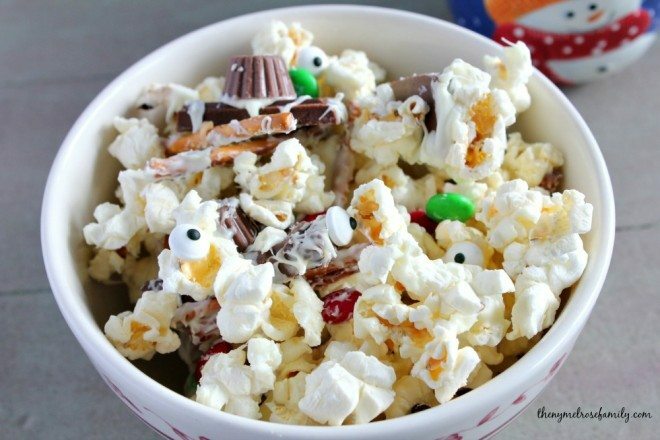 I cannot get enough of all our fun popcorn recipes right now. Popcorn is a huge hit in our house and once you add in some candy and cover it with chocolate then you’re bound to have two girls and husband waiting feverishly until they can sneak a bite or two. We had so much fun creating our Turkey Popcorn for Riley’s preschool teachers that I only thought it fair to create one that would last the entire Winter. 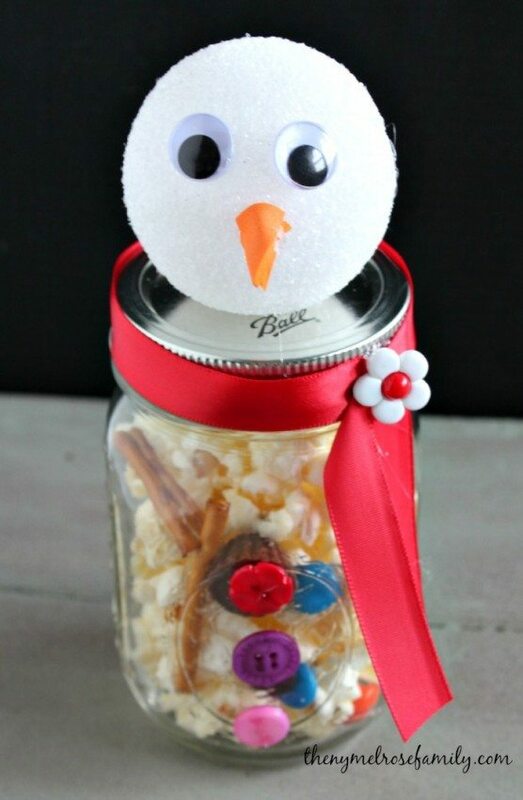 Our Melted Snowman Popcorn is delicious and it’s super cute packaged in a mason jar. 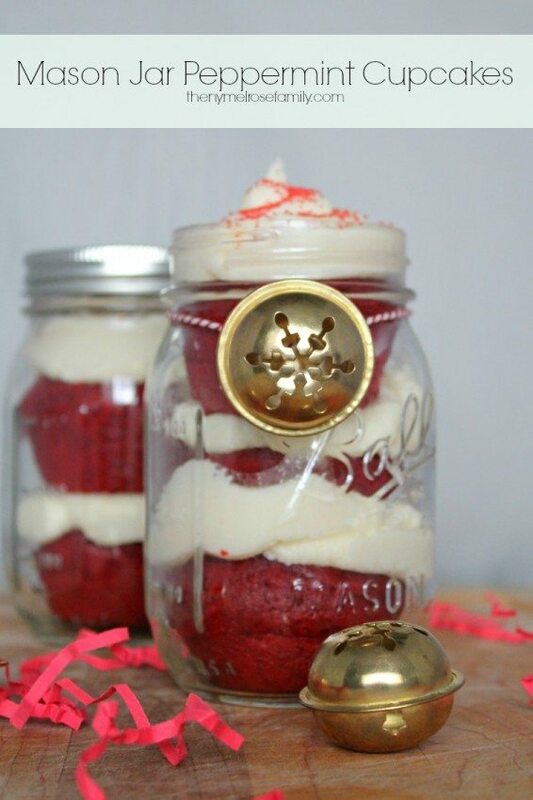 Just one more mason jar gift idea to add to the our collection of Mason Jar Gifts. 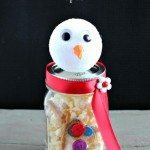 Our mason jar snowman is easy to create. 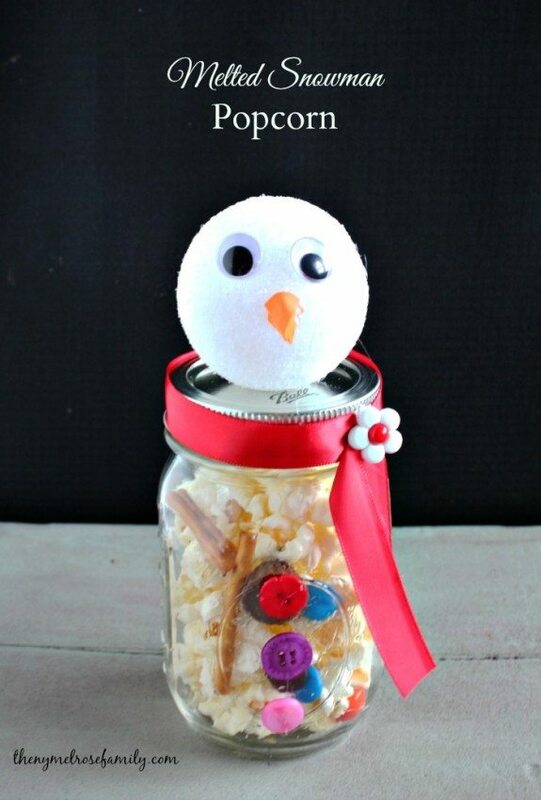 You’ll need a mason jar, assorted buttons, ribbon, googley eyes, orange foam and a 2 inch styrofoam ball. 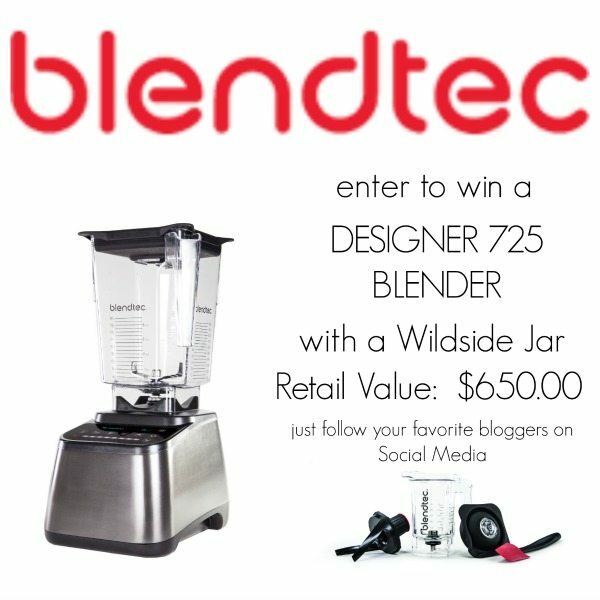 For links directly to the products click here. It literally took me ten minutes to put together and that was with an 18 month old grabbing on my leg the entire time because she woke up on the wrong side of the bed from her nap. Not good. Not good at all. Luckily, the finished product met the sign of approval of Riley. She came running around the corner as put the button on the ribbon to finish the scarf and she stopped dead in tracks and said, “That’s gorgeous mommy.” Music to a mama’s ears, I tell you. Since you have a great way to package it, it’s time to give you the recipe. Riley and I have a guilty pleasure of baking with candy as much as possible. One of our favorite candy desserts is our Baby Ruth Cupcakes, but when we want to combine salty with sweet we love to turn to a popcorn recipe that will knock it out of the park. 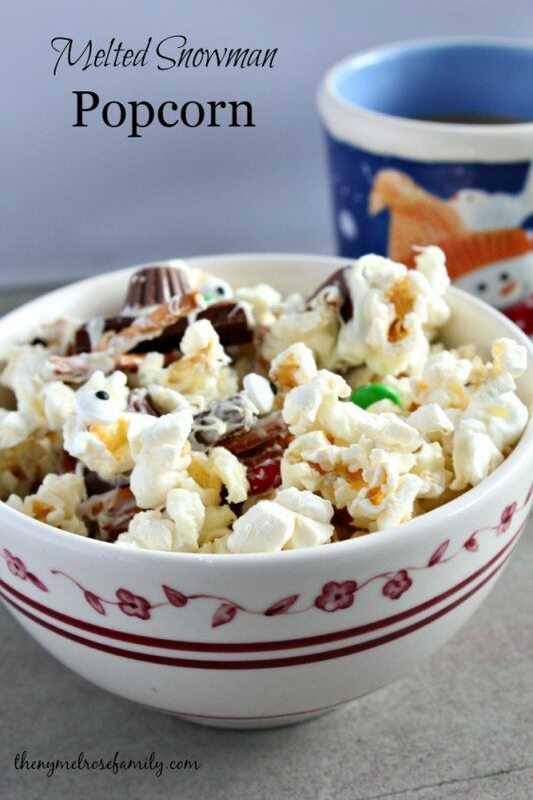 This Melted Snowman Popcorn Mix does just that! 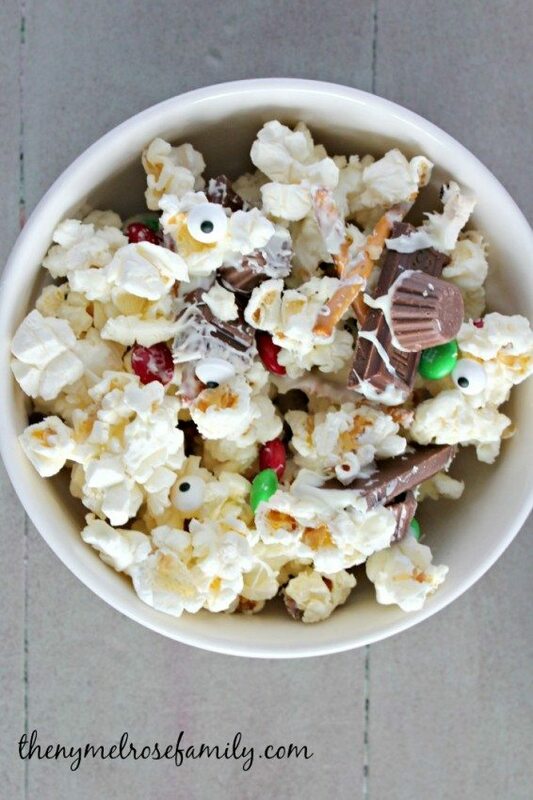 It combines butter popcorn with assorted candies combined together with melted white chocolate. Riley’s absolute favorite candy is Reese’s mini peanut butter cups so I made sure to use them to create our snowman hats. I attached a Reese’s mini peanut butter cup to a stick of Hershey’s chocolate with melted white chocolate, in order to create the perfect sized hat. We also added in pretzel sticks as the arms of the snowman, googley eyes and red and green M & M’s as the buttons. Riley couldn’t get enough of this popcorn because it was not only adorable, but it was absolutely delicious! I’m pretty sure I ended up eating more than she did. It was just too hard to resist. 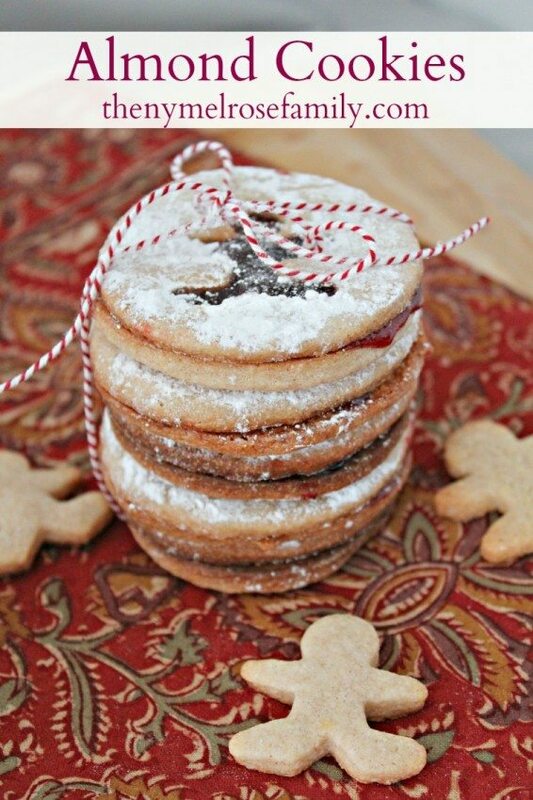 I’m going to have to make another batch to give to our neighbors as a cute holiday gift. It would also work perfectly in our Snowman Mason Jar that we used last year for our Milk & Honey Sugar Scrub if you wanted to go with the smaller 4 oz mason jar. Pop the popcorn according to the package instructions and then spread out on a cookie sheet lined with parchment paper. Remove any unpopped kernels from the cookie sheet. Construct the snowman hats by placing a dollop of melted white chocolate on the end of each Reese's Mini Peanut Butter Cups and attach to the Hershey's bar pieces to create 12 constructed snowman hats. Toss in M & M's, pretzel sticks, googley eyes, and constructed snowman hats. Pour melted white chocolate candy melts over the top of the mix and toss to coat.